The Central Council advocates the support and protection of the German Sinti and Roma as a national minority. There are four long established national minorities in Germany: the German Sinti and Roma, the Danish minority, the Frisian ethnic group, and the Sorbian people. On 11 May 1995, the Federal Republic of Germany legally recognised the German Sinti and Roma as a national minority by signing the Framework Convention for the Protection of National Minorities of the Council of Europe. The result of the civil rights work of the Sinti and Roma, it was an important success for the Central Council and its state associations. In addition to the International Covenant on Civil and Political Rights and the European Charter for Regional or Minority Languages, the Framework Convention for the Protection of National Minorities serves as the guideline for the implementation of minority protection in Germany. By signing the Framework Convention, the federal government undertook “to promote the conditions necessary for persons belonging to national minorities to maintain and develop their culture, and to preserve the essential elements of their identity, namely their religion, language, traditions and cultural heritage.” At the same time, the Framework Convention prohibits any discrimination against anyone belonging to a national minority, and aims to protect the existence of national minorities within the respective territories of the State Parties by taking appropriate measures. As part of its work on minority rights, the Central Council calls on the federal and state governments to take the German Sinti and Roma into account when implementing the obligations arising from the international agreements. The Central Council represents the interests of the minority vis-à-vis national and international political institutions and committees. It also participates in legislative initiatives of the Federal Parliament that are relevant to minority policy. At the state level, the Central Council advocates the conclusion of contractual arrangements (“state treaties”) between its state associations and states governments, which would implement the protection of minorities in line with the Framework Convention. Families of the German Sinti and Roma are increasingly faced with the problem that the graves of their relatives – including the graves of deceased Holocaust survivors – are due to be removed within a certain period of time, in accordance with standard cemetery regulations. In other cases, people are asked to pay renewal feels they cannot afford; or, there are no immediate relatives left who can take care of the graves. Preserving these graves as protected memorial sites is very important for Sinti and Roma families, because most of their family members who were murdered under the National Socialist Regime have no graves. Often, the tombs are designed in a special way and many are designed to evoke the memories of relatives who had perished in concentration camps. Furthermore, the graves are places of historic importance that could be places of learning about history – particularly where epitaphs and tombstones allude to the fate of those buried there. This is another important reason for preserving these graves. And, of course, doing so is also in the interests of the general public. 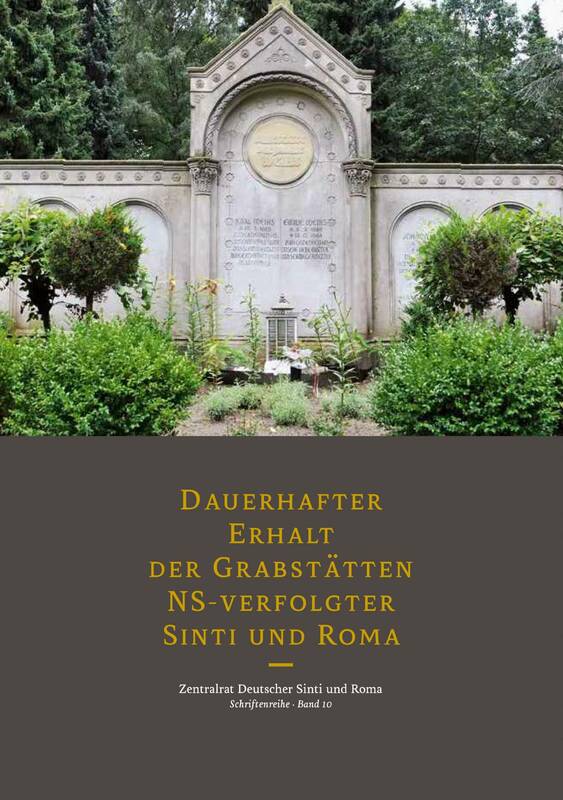 Therefore, the Central Council of German Sinti and Roma and its state associations call on the federal and state governments to preserve the graves of the Sinti and Roma persecuted under National Socialism as family memorial sites. Many of the graves in question have been preserved as permanent graves or graves of honour, or have been put under monument protection. The federal states of Hamburg and Bavaria have introduced interim arrangements at state level in order to preserve graves; according to these arrangements, the state and federal governments will bear the costs incurred. In other recent cases where burial rights have expired, the cemeteries often chose to defer the decisions about fees and grave preservation because of negotiations with the federal and state governments. On 8 December 2016, during the Conference of Minister-Presidents in Berlin, the Federal Government and the state governments adopted a resolution on the preservation of graves of the Sinti and Roma persecuted under National Socialist tyranny. The federal and state governments will each cover 50% of the costs of the graves belonging to Sinti and Roma persecuted by the Nazis. This decision meets the longstanding wishes of the Central Council of German Sinti and Roma, which has called on the federal government, the state governments, and the local authorities since 2004 to take care of these graves and to preserve them as family memorial sites and public places of learning. The regulation is to come into effect in 2017, with its details still being finalised by the Federal and State Working-Group (headed by the Federal Ministry of Family Affairs) and the leading municipal associations of Germany. Documentary report “Long-term Preservation of the Graves of Sinti and Roma Persecuted by the Nazis” publishes by the Central Council. In May 2016, the Central Council published the documentary report “Long-term Preservation of the Graves of Sinti and Roma Persecuted by the Nazis”. The report can be ordered from our Heidelberg office or it can be downloaded here (available only in German). In 2011, the Free and Hanseatic City of Hamburg became the first state to implement a regulation for the preservation of the graves of Sinti and Roma persecuted by Nazis, which also includes offering to pay the costs incurred. According to this regulation, people who take care of the graves that are due to be removed in the near future can contact the Restitution Office of the Hamburg Authority for Employment, Health, Social Affairs and Integration (BAGSI). The Restitution Office will then verify the status of persecution in each individual case. If the grave belongs to a person persecuted by the Nazis, the Office will contact the Geschwister-Scholl-Foundation with a request for reimbursement of the (grave renewal) fees. This scheme is an interim solution until there is a Germany-wide regulation concerning the preservation of graves. if the original of the fee notification of the cemetery administration is sent to the Bavarian state association. After verifying the persecution status, the state association will submit the original invoice from cemetery to the Bavarian memorial foundation “Stiftung Bayerische Gedenkstätten” with a request for reimbursement. The scheme does not cover the fees for moving the graves to different locations nor for burying another person in the same location. In June 2016, the State Parliament of Hesse made the decision to provide transitional funds until there are Germany-wide regulations, in order to ensure of the graves of Sinti and Roma persecuted by the Nazis will be preserved in the state of Hesse. The Central Council of German Sinti and Roma has for a long time called for the involvement of Sinti and Roma in broadcasting councils and state media authorities. So far, only the state of Rhineland-Palatinate has responded to the call, where the Rhineland-Palatinate Association of German Sinti and Roma is a member of both the broadcasting council of the Südwestrundfunk (SWR, a broadcasting corporation in the southwest of Germany) and of the assembly of the State Media Authority of Rhineland-Palatinate (LMK). However, appointing Sinti and Roma to the supervisory bodies of private and public media is a socio-political and legal commitment that arises from the recognition of the Sinti and Roma as an autochthonous national minority in Germany. By ratifying the Framework Convention for the Protection of National Minorities, the Federal Republic of Germany undertook not only to afford special protection to the Sinti and Roma, but also to ensure their participation in social and political life. Therefore, representatives of the Sinti and Roma – a relevant group in society – have to be involved in the supervisory bodies of the media. 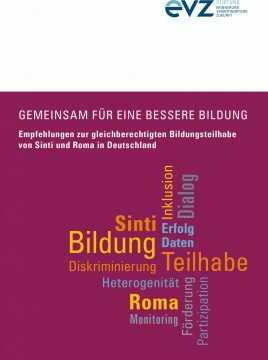 This is even more important in view of the fact that Sinti and Roma in Germany are still subjected to discrimination in all its various forms. Film documentaries, news reports, media in general exacerbate discrimination by using negative stereotypes, prejudice fuelling illustrations, and partly racist entertainment films. Involving the representatives of Sinti and Roma in broadcasting councils and state media agencies can serve a twofold purpose: It would contribute to raising awareness of discriminatory reporting and discriminatory programmes among people and bodies responsible for designing the programmes. And it would contribute to preventing the use of these discriminatory practices in the future due to the development of appropriate programme guidelines. The obligation to involve the representatives of the Sinti and Roma in supervisory bodies of the media arises also from Germany’s historical responsibility for the Nazi genocide of the Sinti and Roma. This special historical responsibility is one of the reasons for the participation of the Jewish regional associations in all broadcasting councils and state media authorities of the Federal Republic. This responsibility pertains equally to the Sinti and Roma. The history and the present of the Sinti and Roma should be included and addressed in the curricula and the education standards in a more comprehensive and focussed manner. To speak of the Sinti and Roma only as ‘the other victims’ of National Socialism means not only showing a continued disregard for their fate, which can negatively impact the feelings and performance of students belonging to the minority. It also means having to worry that negative stereotypes would not be reduced, but instead sometimes reinforced. The recommendations should also take into account the history of the Sinti and Roma before 1933 and after 1945. Likewise, it is recommended that the topics ‘minorities’ and ‘European regulations” should be incorporated into lessons. Learning aims should include imparting knowledge about the Sinti and Roma as members of a national minority and citizens that are part of European history and cultural history. The subject ‘Antigypsyism’ should be incorporated into teacher training and embedded in school curricula, part of general citizenship education and anti-racism education at schools. It would make sense to classify topics dealing with Sinti and Roma as relevant for examination. This would guarantee a degree of success in acquiring and retaining knowledge. Education standards and curricula constitute the main basis for the conceptualisation and design of textbooks, simply due to recognition procedures. A change in the design of textbook illustrations should result in illustrations depicting the long history of the minority in Germany and Europe, analogous to the depiction of Jewish history. Antigypsyism would be an important topic for the discussion of Nazi race politics, and it would provide a starting point for a discussion of how a young West Germany treated the survivors of the Nazi genocide. So far, textbooks have (oddly enough) never asked or addressed the question concerning the fate of the survivors of Nazi persecution and genocide after 1945. The subject “Sinti and Roma” puts acomparatively high demands on the teachers. There is a high risk of culturalisation and/or ethnicization in teaching, particularly because ingrained stereotypes and prejudices influence the way society treats Sinti and Roma. Advanced training courses (on history and culture) should give teachers the opportunity look beyond knowledge acquisition, to reflect on their own perceptions and to become more aware of how to deal with Antigypsyism. 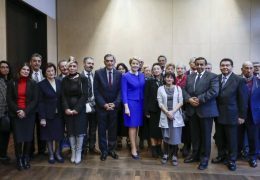 One of the demands of the Central Council of German Sinti and Roma in the field of education is the establishment of a permanent working group at the Standing Conference of the Ministers of Education and Cultural Affairs. 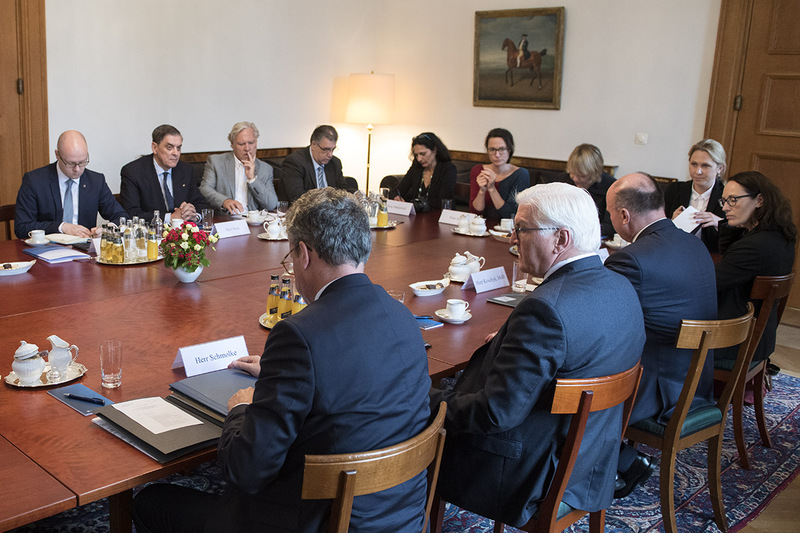 This working group would focus on the Sinti and Roma, or alternatively on national minorities in Germany, and it would involve the relevant minority organisations. For example, it could be tasked with the design, monitoring, and evaluation of education standards (for German, history, politics / social studies, etc.). How to improve the access to education for Sinti and Roma? How to achieve equal participation? Which principles to observe in order to increase participation in education and educational success? How to collect the necessary data and how to carry out scientific research? The “Nationwide Working Group for the Improvement of Educational Participation and Educational Success of Sinti and Roma in Germany”, founded by the Foundation “Remembrance, Responsibility and Future” in 2013, aims to address these questions. 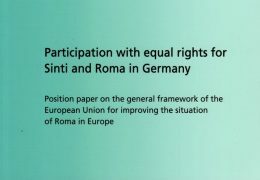 For 11 days, experts from Sinti and Roma organisations worked together with experts from different states, municipalities, foundations, and science in order to develop ways to facilitate equal access to education for Sinti and Roma. Representatives of the federal government attended the meetings of the working group as advisors and observers. After two years of work, the joint recommendations are available. Topics relating to the field of education affect numerous responsibilities. These recommendations should encourage the relevant actors of the federal government, the states, the municipalities, the associations, the sciences, and the NGOs, including the Roma and Sinti themselves and their organisations, to take up these recommendations insofar as they are able, to modify them if necessary, to develop them further, and to implement them. More information about the working group, the recommendations, and the final publication can be found >>here (in German). In 1998, the Central Council achieved the legal recognition of the German Sinti and Roma as a national minority under the Framework Convention for the Protection of National Minorities of the Council of Europe, and the recognition of the German Romany as a minority language under the European Charter for Regional or Minority Languages. There are four long established national minorities in Germany: the German Sinti and Roma, the Danish minority, the Frisian ethnic group, and the Sorbian people. On 11 May 1995, the Federal Republic of Germany legally recognised the German Sinti and Roma as a national minority by signing the Framework Convention for the Protection of National Minorities of the Council of Europe, which has been a federal law since 1998. The result of the civil rights work of the Sinti and Roma, it was an important success for the Central Council and its state associations. The German government under Helmut Kohl had originally intended to deny the German Sinti and Roma the enforceable minority protection in the framework of the European agreements. It would have been denied on the grounds that the German Sinti and Roma were a “minority without a state” and that the Romany spoken by the minority was a “language without a language area”. The Central Council saw this as a violation of the UN International Convention on the Elimination of All Forms of Racial Discrimination. It approached i.a. the US and Israeli ambassadors, asking them to intervene with the Federal Government. Such a constitutional provision does not exist in any other country in Europe, although this would be required in all circumstances given the size and importance of the Roma minorities living there. However, when states continue to deny such constitutional protection, it is a clear indication of the significance of the constitution: Unlike many international agreements, it is not merely ‘paper’ with ‘formal’ promises of minority protection. In fact, a constitution contains fundamental rights and national objectives that a country or state must abide by. In the opinion of the Central Council, the fact that the state parliament in Kiel explicitly affords the minorities listed there a “right to protection and promotion” justifies relying on the article before the Constitutional Courts. Not only does the article of the constitution prohibit all forms of exclusion and discrimination through legislation or policy against the German Sinti and Roma. The constitutional provision also elevates the commitment to guarantee the minority equal participation and equality of opportunity in all areas of society to a national objective. The respective governments are now obliged to actively implement measures to protect the minority in the event of discrimination or intimidation, for example by the audacious extreme right. By acknowledging, for the first time, of the right of the Sinti and Roma minority to protection and promotion, the state of Schleswig-Holstein set an example for minority policy throughout Europe. 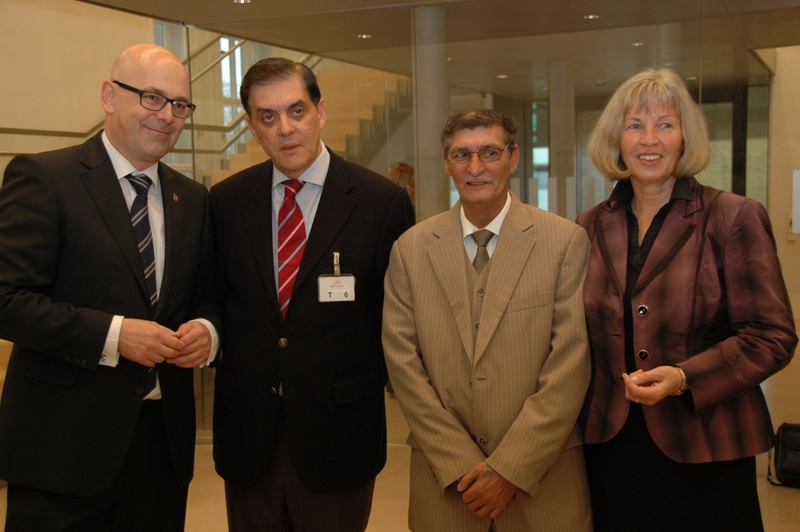 The Central Council of the German Sinti and Roma has joined forces with the three other autochthonous national minorities (the Danes, the Frisians, and the Sorbs) in the Minority Council, in order to better represent their interests vis-a-vis the Federal Government and the German Federal Parliament. The chairmanship of the Minority Council is governed by the rotation principle, with each minority organisation providing a chair for one year. The joint regular meetings of the Minority Council take place at least twice a year. 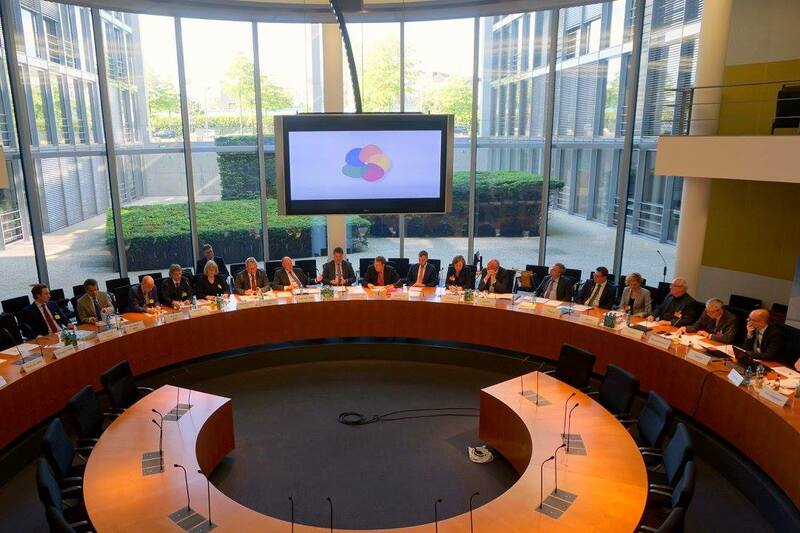 Under the direction of the Chairperson of the Committee for Internal Affairs, this round table provides an opportunity for the representatives of the umbrella organisations of the national minorities to confer with Members of the German Parliament several times a year. The subjects of these conferences (also called Implementation Conferences) are the implementation of the Framework Convention on the Protection of National Minorities and the European Charter for Regional or Minority Languages of the Council of Europe. Representatives of umbrella organisations of national minorities and representatives of the federal and state governments attend these meetings. 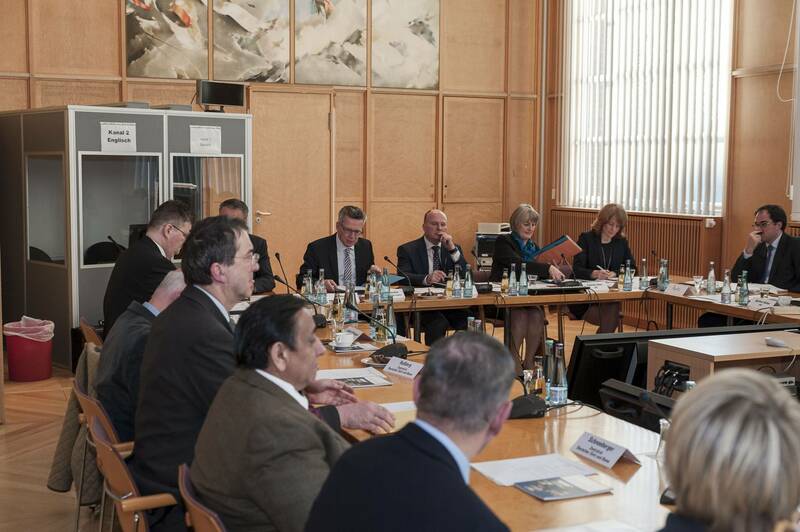 The Advisory committee for issues related to the German Sinti and Roma, established at the Federal Ministry of the Interior, ensures that the minority has access to the Federal Government and the German Federal Parliament. The chair of the committee is the Federal Government Commissioner for Matters Related to Ethnic German Resettlers and National Minorities. The Central Council is a member of the Advisory Council of the Federal Anti-Discrimination Agency (FADA). FADA was established in 2006, after the General Equal Treatment Act (German abbreviation: AGG) had entered into force. It supports people in enforcing their rights to the protection against discrimination. The Central Council is a member of the Federal Union of European Nationalities, the largest umbrella organisation of the autochthonous, national minorities and ethnic groups in Europe. FUEN represents the interests of minorities at the regional and national level, and works together international organisations, in particular with the European Union, the Council of Europe, the UN and the OSCE. 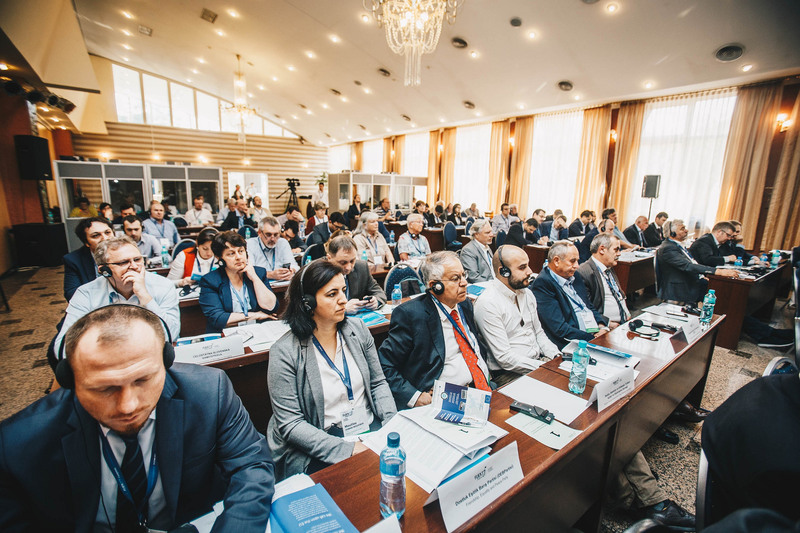 Every year, FUEN organises the largest conference of autochthonous minorities in Europe, bringing together circa 150-250 representatives of European minorities. The Central Council regularly attends this conference. The Central Council regularly attends the OSCE Human Dimension Implementation Meetings in Warsaw. The “Human Dimension” encompasses human rights and fundamental freedoms, the rights of persons belonging to national minorities, issues of democracy and the rule of law, and humanitarian affairs. At the annual OSCE Human Dimension Implementation Meetings, NGOs have the opportunity to comment on how states are implementing their commitments in the human dimension. In order to create the required legal certainty for the minority, the Central Council advocates binding contractual agreements between the state governments and the institutions or self-organisations of the German Sinti and Roma. These agreements should record the concrete implementation commitments – including funding – arising from the framework agreements. Dr Theo van Boven, renowned expert on international law and former Director of the Division of Human Rights of the United Nations, had stated in 1997 in an expert report on the protection of minorities that “public law contracts are – as they exist for Jewish communities – ‘special measures’ in terms of international agreements that de jure and de facto ensure equality”. The state governments of the Rhineland-Palatinate, Bavaria, Bremen, Baden-Wuerttemberg, and Hesse have concluded such state treaties and agreements with our state associations. In doing so, they are implementing the protection of minorities in accordance with the Framework Convention of the Council of Europe. The Framework Convention for the Protection of National Minorities (FCNM) is the first internationally binding protection instrument created specifically for national minorities. It prohibits any discrimination based on belonging to a national minority and to protect the existence of national minorities within the respective territories of the State Parties by taking appropriate measures. 39 of the current 47 member states of the Council of Europe have ratified the Framework Convention, that is, they have recognised it as national law. Another four members have signed the FCNM. 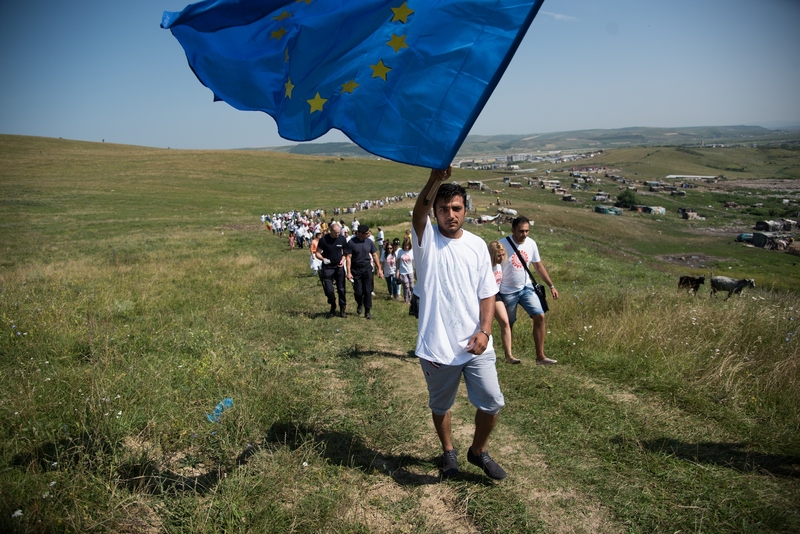 The European Union (EU) and the Organisation for Security and Cooperation in Europe (OSCE) have both adopted the Framework Convention for the Protection of National Minorities as a legal instrument. On 22 July 1997, the German Federal Parliament had approved the Framework Convention, with the consent of the Federal Council (Bundesrat) and the federal states. The Federal Law Gazette promulgated the law on the same day, and the corresponding certificate was deposited with the Council of Europe in Strasbourg on 10 September 1997. The FCNM entered into force on 1 February 1998, and has since then been fully applicable under the treaty law as a federal law in Germany. The mechanisms that ensure that the State Parties honour their commitments are as important as the international law commitments themselves. Therefore, one year after a treaty came into force, the signatory states must notify the Council of Europe about the implementation, and then submit an annual report once every five years. 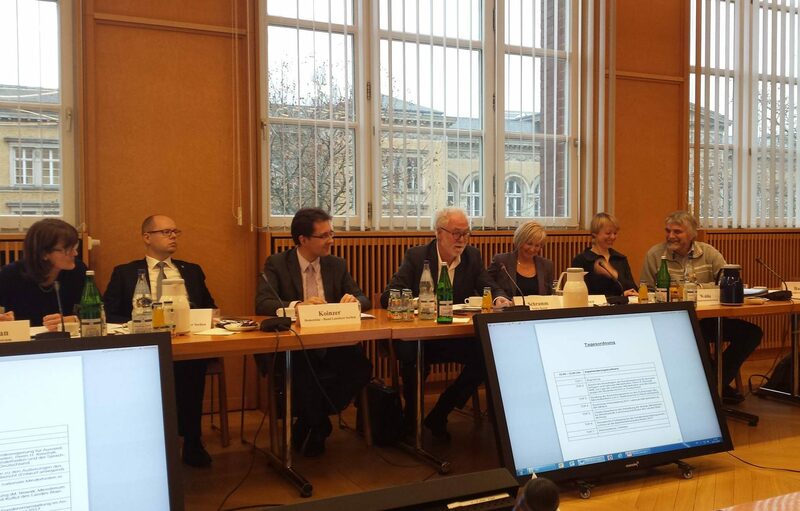 An Advisory Committee consisting of independent experts supports the Council of Europe in its control tasks. 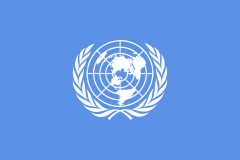 The International Covenant on Civil and Political Rights (ICCPR) is one of the first binding international human rights treaties adopted by the United Nations. Together with the Universal Declaration of Human Rights (UDHR) and the International Covenant on Economic, Social and Cultural Rights (ICESCR), it is part of the international human rights code. It is the first treaty under international law to introduce a general prohibition of discrimination against ethnic, religious, and linguistic minorities. Article 27 of the ICCPR gives minorities the freedom to use their own language, to enjoy their own culture and practise their own religion. The European Charter for Regional or Minority Languages opened for signature by the Council of Europe on 5 November 1992 and entered into force in 1998. The purpose of the Charter is to recognise, protect, and promote historically established regional or minority languages as a unique part of Europe’s cultural heritage. To this end, the signatory states undertake to choose 35 out of 96 paragraphs or sub-paragraphs and undertake to implement them. The German Romany is protected under the European Charter for Regional or Minority Languages. For approximately 70.000 German Sinti and Roma, Romany is their second native language after German. Many German Sinti and Roma are of the opinion that, in deference of the experiences of the survivors of the genocide, Romany should not be shared with outsiders working in the state education system. Therefore, the state school system does not provide for Romany language teaching. Position paper on the general framework of the European Union for improving the situation of Roma in Europa. Publication series of the Central Council, Volume 7, Heidelberg 2012, available in German and English.